I can be longwinded when the occasion calls for it or, more often, even if it doesn’t call for it. Yet, sometimes there are stories that, while I find them fascinating, even I can’t turn them into full articles. Rather than waste your time with three extra short articles, today we’re going to take a quick jaunt around World Showcase and highlight three short tales of why something is where it is or why a feature is of particular importance. If there is a theme as we make our way around the lagoon, it is present in the title; all of these tales involve the history of an artifact, attraction, or place in their respective pavilions. Our ports of call are Mexico, Norway, and France, so keep your hands and arms inside this storytelling vehicle at all times and away we go. 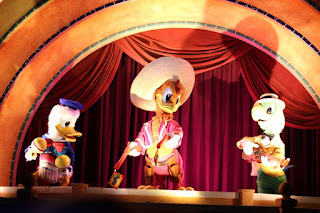 The Gran Fiesta Tour Starring the Three Caballeros began setting sail through the Mexico pavilion in April of 2007. Jose and Panchito could be seen making their way through various landmarks from the country, always one step behind Donald, on video screens built into scenes throughout the attraction. Once they had acquired their wayward bandmate it’s time to start the show in a large concert set finale. Originally, this act also took place on a video screen, but in December of 2015 the Three Caballeros appeared as Audio-Animatronics figures. These figures have a storied history, however, having been part of the 96 figure set that was part of the Magic Kingdom’s Mickey Mouse Revue that occupied a space in Fantasyland from opening day in 1971 until 1980. From there they would go on to continue in the roles as part of the Revue in Tokyo Disneyland until that attraction also closed in 2009. After a few exhibit displays, they were finally returned to the stage, this time in Epcot for the Gran Fiesta Tour Starring the Three Caballeros. Making our way over to Norway, there is a lot of Frozen to gleaned from everything in the pavilion and, in particular, in the Frozen Ever After queue. Perhaps the most popular section of the queue is Oaken’s Tokens and Sauna, where the window to the sauna is steamed up, but Oaken continually uses that condensation to draw pictures and entertain guests passing through his shop. It would be very easy to overlook many of the items in his story, even though they are having a big snow day blowout, but there are two figurines worth noting. 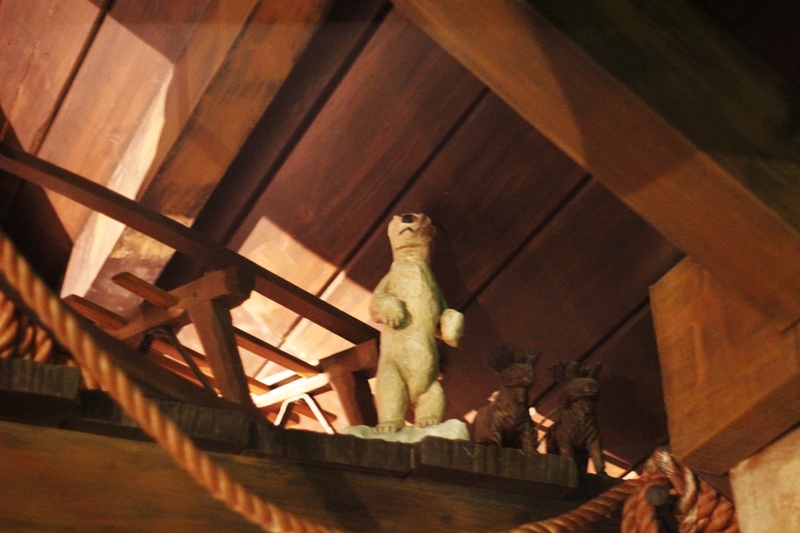 One, high in the rafters, depicts a polar bear standing up on its hind legs, while the other, next to a small cast on the shelf, is a three-headed troll. 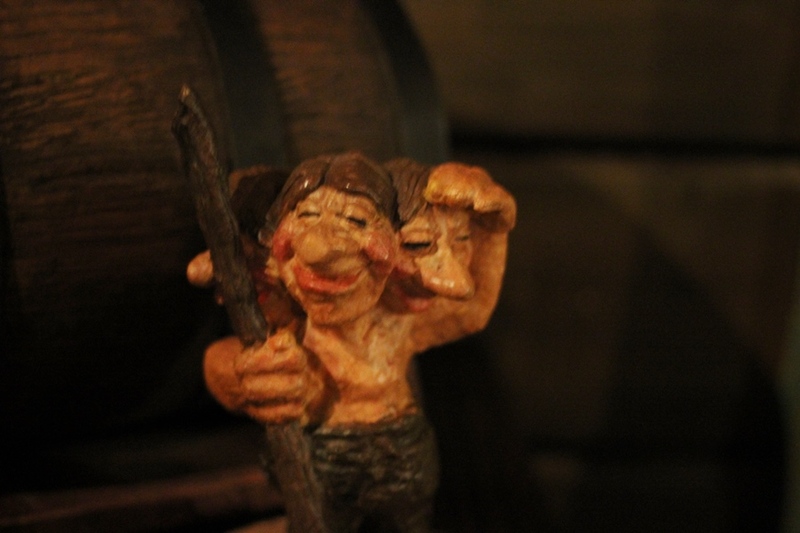 While not a perfect likeness, these two figurines serve as tributes to the residents of Norway’s original attraction, the Maelstrom. Considering that trolls in the world of Arendelle are more squat and round, this depiction of a more traditional troll, albeit with three heads, definitely seems a bit out of place if it weren’t for the previous attraction in Norway. Last, but certainly not least, we’re taking a trek over to France to visit Plume et Palette. This shop dedicated is the second shop in the pavilion dedicated to fragrances, but Plume et Palette is also home to high-end handbags, but none of these things are what caught my attention the last time I wandered inside. It was the design of this building and the fact that the shop has a full-sized second floor, but no way for guests to access it. This is not a new development for Epcot, second floors have either disappeared (Centorium) or were shuttered for a number of years (Imagination pavilion), but Plume et Palette isn’t as well remembered as some of these other destinations. Plume et Palette was, once upon a time, a shop dedicated to French books and art, which explains why it feels reminiscent of a turn-of-the-century library. 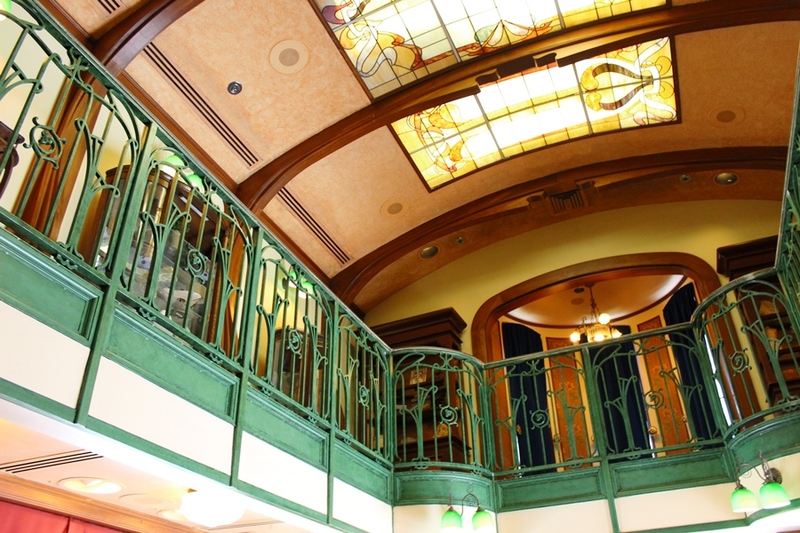 During the early years of EPCOT Center, the first floor was home to cookbooks and art books, while guests making their way up to the mezzanine could find prints and posters for sale that highlighted great works by Renoir, Monet, and Degas, among others. To know where we are going, it is important to remember that the past is prologue to all that we have today. While these details from Mexico, Norway, and France may not be the most engaging of stories, they are important to the history of their respective pavilions, the larger tale of Walt Disney World, and how we interact with the created worlds. Be sure to keep an eye out the next time you’re wandering through World Showcase, you never know what artifact or small detail has to say about where we’re going and where we’ve been.